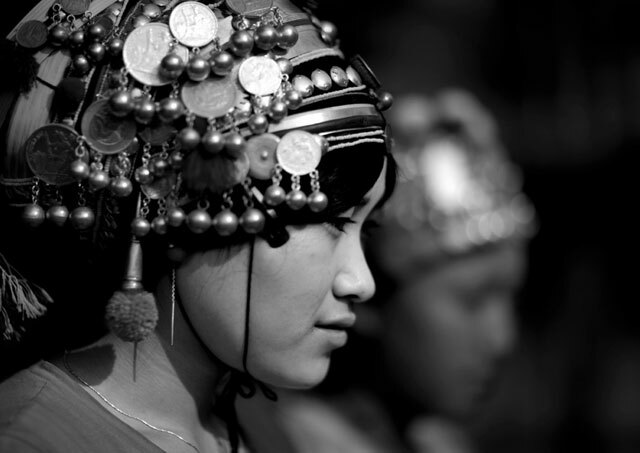 The Akha tribe lives in the North of Tailand. Up to now, the people of Akha have preserved their unique ethnic culture and faith. They are now feeling great pressure from Christian missionaires. The people of Akha are constantly under the threat of disappearance. Mathew McDaniel lives with them and tries to help them. He also keeps the members of WCER informed about the news and events affecting the Akha people through the internet. The information we get demonstrates the actual tragedy created by the disturbance of a living traditional culture. Here is one of his latest reports. The Missionary Cold War: How missions work and effect the lives and independence of the Akha and their freedom to their own religion and culture. How the villages are broken and converted. The involvement and structure of the mission system in north Thailand is very important to understand, but of greatest importance is to understand that the Akha as a people have a right to their own tradition and culture under international law, and this right is certainly not being protected. It is one thing to say that the Church has a question of character and morality in this matter, but ultimately the failure to protect the Akha and their culture must fall in part both on the Thai government and International organizations and the Missions. The missions, since they are the perpetrators, are the chief defendant in the matter. The history of missions is long, through the centuries, from crusades to the new world, a political order that always claimed it wasn’t. Always converting and eliminating tribal cultures and often tribal peoples, subjegating smaller groups into the larger ones, assisting colonialization and assimilization. A growth industry on the back of others, following close to the exploitation of resources and lands that the indigenous live on. This parallel situation is very hard for missionaries to admit to. They are woefully ignorant of anything but the polished, carefully selected version of their conquest history. It is quite amazing that anyone denies this political role and goal of missions does not exist, but quite a few still do make this denial. In Thailand there is functioning both the Catholic Church and the Protestant Church. They both work with the Akha. The Catholic Church is under one structure, while the protestant efforts are under many structures. There are a few umbrella organizations that house many of the individual organizations of the protes-tants, but this certainly does not cover them all. Since the protestants do not organize a visible central structure, though they often work in such a way quietly, they can claim security from appeal to any such organization. Their makeup of many missions, churches, individuals, all claiming to be unaffiliated makes bringing them to justice for their crimes that much more difficult. They are here for a reason. I am not sure what all those reasons are, but it certainly appears to be based on inherant needs of the individuals in these organizations and not much on the needs of the people whom they work with, in this case the Akha. The need of the missionary individual is to stay out of hell, and they feel that in order to ensure this, they must also keep a few other people out of hell by converting them to the same fear paradym. This is the driving force of the missionaries, you won’t meet one that wants to talk the Bible or the details and justifications of all this. At best, rather than logic and blow by blow discussion you will encounter rhetoric and quotations. Obviously these people are very insecure, very unsure of themselves, and really are quite afraid to think for themselves. Many of them have their lives, years and years, buried in such ventures and if it were inspected now, the validity, well, might be more than they could handle, that they had wasted much time and years. Or had just been wrong. I don’t mind that people believe different than I do but I wonder why they can’t even argue their own belief system? For instance, say if I said I agreed that it is good to keep people out of hell. I might add that I believe that for the sake of argument because I also believe that it is good to try and prevent bad things from happening to people, much in the same way the Thai highway department is installing guard rails in the mountains along the side of steep roads. So then I would ask the missions, that if saving people from harm is the point, then why is not the money focused to do the most good, water, medical care, human rights, etc rather than build big church buildings?